Warm the ghee in a pan. Add besan and KOSH Oats Atta. Roast besan and oats atta in ghee till it becomes golden brown and aromatic. Then add mawa and cook for 5-7 minutes till the entire mawa mixes well and is no longer visible. Take the entire mixture out in a thali and cool till it becomes lukewarm. Make sure that it does not cool so much that it dries out and cannot form a ball. Once cool, add the powdered sugar and cardamom. Take a handful of mixture on your palm and shape them into laddoos while it’s still slightly hot. Note that if the mixture cools down, it won’t shape into a ball. Decorate with almonds and pistachio. 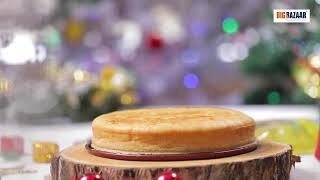 Try out this easy and yummy recipe for Apple Cinnamon Cake, this #Christmas. 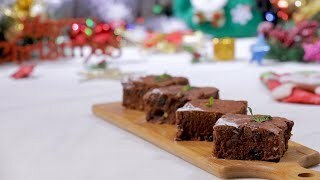 Try out this delicious Chocolate Brownie recipe for #Christmas. Visit your nearest Big Bazaar to shop from our wide range of baking ingredients and bakeware range. 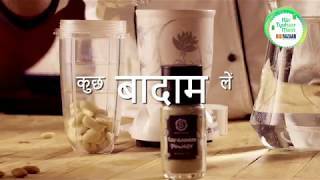 Enjoy delicious iftar party with your loved ones by making mouth-watering Badaam Sharbat and Pakode.